How to talk about periods that start in the past and continue in the present. 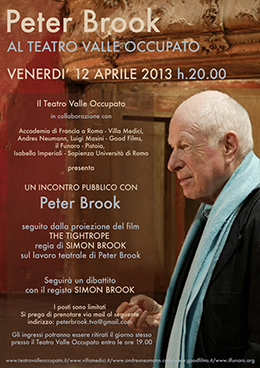 Peter Brook is one the great theatre directors of the twentieth century. His 1970 production of A Midsummer Night's Dream made theatre history. On Friday April 12 at 8pm the Teatro Valle Occupato is screening 'The Tightrope', a documentary about Brook by his son, Simon Brook. The film will be followed by a public debate with Peter Brook. I'm an Englishman living in Rome where I teach English to Italians who need it for their work. The lessons, articles, thoughts and advice that you can find here grew naturally from my teaching and needed a place to live. 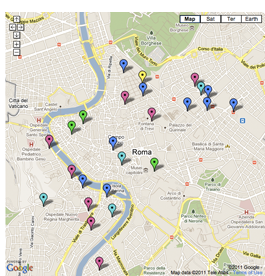 I give my lessons in offices and homes in most areas of Rome and on the video conferencing app of your choice. I work with Chosen Time on language games for the iPhone. Together with my friends at Alfabeta, I'm working on a project to provide language lessons and other training on-line. Besides my private lessons, I also teach at the CLA - Roma Tre University and for Arteventi. www.davidnicholson.it by David Nicholson is licensed under a Creative Commons Attribution-ShareAlike 3.0 Unported License. Permissions beyond the scope of this license may be available at permissions@davidnicholson.it.